Block chords are a method of harmonising a melody line by moving all the notes of the chord in parallel, following the same rhythm as the melody. Harmonising melodies with block chords is also known as ‘locked-hands’ so be aware that these terms refer to the same thing. 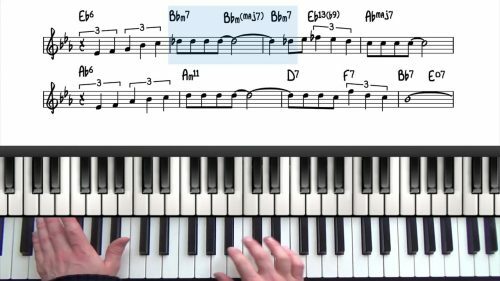 In this lesson, I’m going to explore how to play block chords, explaining what they are and where they come from. We are then going to look at some exercises for practising block chords and apply them to a couple of jazz standards. Beautiful Love is commonly played as both a ballad and as a medium to up-tempo tune. 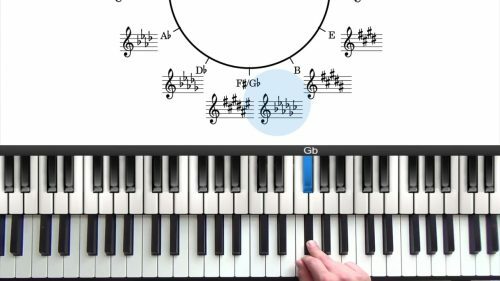 In this lesson we create an arrangement for both of these styles. Scales provide the basis for understanding harmony. 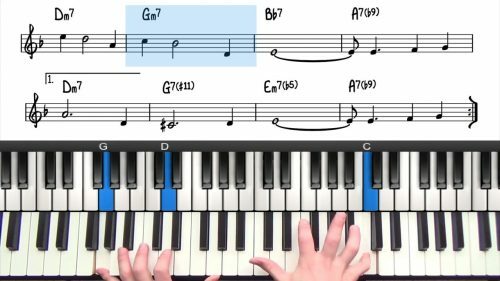 Learning and memorising the 12 major scales is the first step in learning jazz piano. It is a worthwhile exercise to take these voicings around a few keys but don't fret about becoming fluent with block chords in all 12. The most time efficient and and effective way to practice these chords is through applying them to jazz standards. Look out for step wise melody lines in the tunes you are playing and try to harmonise the melody with block chords.